No matter how much we know it’s coming, somehow we always seem surprised by how quickly the middle of the semester arrives. While this is often a time for mid-term exams and papers, it can also be an opportunity to encourage students to reflect on how they are learning, perhaps even consider it as a metacognitive pause (link). Collecting formative feedback about how students are learning can help both faculty members and students gain insight about what is working to support learning in the course. From an instructor’s standpoint, this feedback can be diagnostic, and allow for possible adjustments to the course or certain pedagogical approaches. For the students, it makes their learning more visible, and encourages them to acknowledge what is working, and what they might do to improve their learning and performance in the course. Collecting this feedback can take several forms, from web-based surveys to more structured in-class approaches. Using a freely available and easy to use tool like Google Forms, you can create a brief series of questions that encourage reflection on learning in the course (sample mid-semester feedback form). The collected responses are automatically tabulated, and can be used to facilitate follow-up discussion about how students are learning in the course. There are also more structured in-class approaches to collecting formative feedback, which can provide a greater level of detail than survey instruments. One such approach is the Small Group Instructional Diagnosis (SGID). The SGID takes a structured focus group approach, which a facilitator conducts in three phases – individual, small group, whole class – identifying examples of what is supporting learning and what can be done to enhance learning in the course. In each of these phases, students work to prioritize and reach consensus on their examples. The SGID facilitator then synthesizes this feedback, and prepares a summary report to share with the faculty member. Participation in the process is completely confidential. More information on the SGID process can be found here (link). As you think about the approach of mid-term, the CLTR would look forward to consulting with faculty members to explore ways to collect formative feedback to better understand how students are learning in their courses. 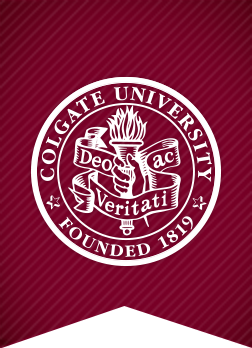 Colgate faculty should feel free to contact Doug Johnson (djohnson@colgate.edu) or Jeff Nugent (jnugent@colgate.edu) for assistance. Enter your e-mail address to receive updates from the Center for Learning, Teaching, and Research.